The international community named 2015 the International Year of Evaluation. Throughout this year, Engineers Without Borders USA is highlighting the four major parts of our efforts to promote project evaluation: planning, monitoring, evaluation and learning. Today, EWB-USA’s Impact Analysis Director, Tiffany Martindale, highlights the importance of monitoring. Back in the dead of winter, I planned this summer’s garden. I decided on crops, purchased seeds, and mixed the compost to make sure it would be ready when the soil warmed up. In January, with little else going on outside, it was easy to dream of a lush and fruitful garden. All I had to do was open my gardening journal and write down planting dates. However, Colorado’s short growing season is unforgiving if I don’t have systems in place to ensure that my planned activities happen on time. In years past, I hadn’t started seeds or turned on the watering system early enough. At the end of the season, the poor harvest reflected my lack of attention to monitoring the plan. It is clear that the best laid plans can produce poor results if they are not monitored. Many people rely on lists, follow-up phone calls and cell phone apps to remind them of the important tasks in their day to ensure that life stays on track. 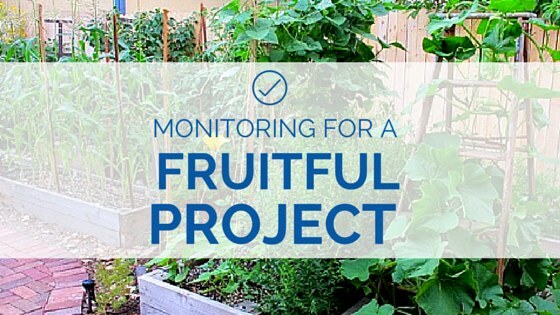 Monitoring progress within an EWB-USA program requires that same level of attention to the project plan. 1. Identify the appropriate indicators for your project. Indicators are signs that something has happened or is happening. For example, an increase in available drinking water after a completed water supply project is an indication that the implementation of that project might have contributed to the community’s goal of improved access to clean water. Indicators should be measurable and observable. They should reflect back to the community’s goals and allow the team to assess whether or not they are on target to meet those goals through the activities being undertaken. 2. Document the information obtained. Monitoring is an on-going activity and it is important to record results as activities take place. Consistent documentation of the status of the program or project work over time is essential for an effective evaluation of impact later on. For more detailed guidance to effectively monitor your work, please review the monitoring section of the Planning, Monitoring, Evaluation and Learning Program Description. Stay tuned for tips on how to evaluate your project to ensure that your efforts are, in fact, contributing to the community’s goals. 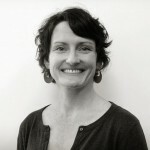 As EWB-USA's Impact Analysis Director, Tiffany Martindale has a passion for ensuring that the organization's programs create lasting and positive change in our partners' lives. In her free time, she enjoys seeing the world through her son's eyes and daydreaming about a better, more peaceful world. Announcing the 2017 EWB-USA Premier Award Winners!